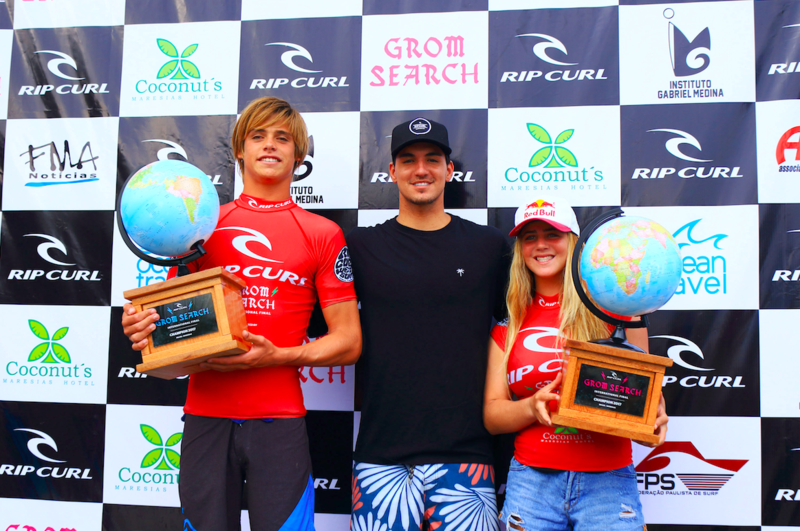 Kade Matson snuck into the GromSearch — at 14 years old, he was technically too young for the 16-and-under main event. But, the good folks at Rip Curl allowed him to enter as a wildcard. They gave the kid a chance. And that’s all he needed. After winning the regional event in the USA, Kade marched his way to Maresias, Brazil for the International final. He took down some big names and met fellow Quiksilver surfer Rio Waida in the final. The event was hosted by Gabriel Medina, who was admittedly impressed with the level of youth surfing. We’re down on that. Congrats Kade!